DUBAI: The IMF yesterday advised energy-rich Gulf economies to speed up their diversification away from oil after projecting the worst growth for the region since the global financial crisis. Oil exporters in the Middle East, especially those in the Gulf Cooperation Council, have been hit hard by the collapse in crude prices which provided a major part of their finances. 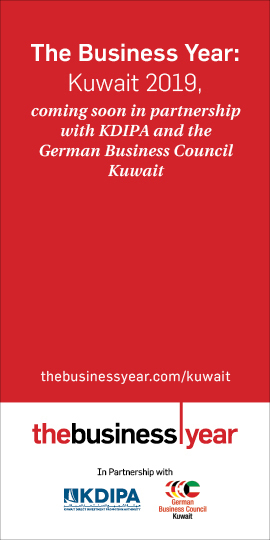 Following the slump, GCC members Bahrain, Kuwait, Oman, Qatar, Saudi Arabia and United Arab Emirates undertook fiscal measures and reforms to cut public spending and boost non-oil revenues. As a result, economic growth has slowed considerably as the GCC six and other regional oil exporters posted huge budget deficits. 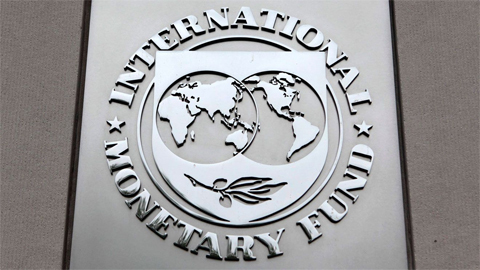 In its Regional Economic Outlook, the International Monetary Fund yesterday projected GCC economic growth at just 0.5 percent this year, the worst since the 0.3 percent growth in 2009 following the global financial crisis. The IMF is projecting cumulative budget deficits of $320 billion for Mideast oil exporters over the next five years, according to the report. Approximately half of that amount – or $160 billion – will be sustained by energy-rich Gulf nations between 2018 and 2022. Still, the projection is significantly lower than the shortfall of $350 billion that these states racked up since 2015, when oil prices plunged to their lowest in years. The IMF’s figures are based on assumed oil prices of about $50 a barrel through the end of this year and next, up from last year’s average of $43. On Friday, Brent crude, the international benchmark oil, rose above $60 for the first time since 2015. 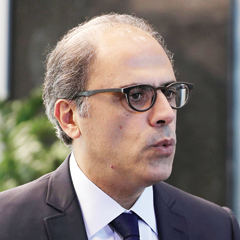 “It is the right time for GCC economies to accelerate their diversification outside oil and to promote a greater role for the private sector to lead growth and create additional jobs,” said Jihad Azour, director of the Middle East and Central Asia at IMF. “Preparing their economies to the post-oil era is something that is becoming a priority for authorities all over the GCC,” Azour said. “We are seeing governments developing diversification strategies and introducing a certain number of reforms to allow the economy to be prepared for the post-oil era. And those are important reforms,” he said. Azour said the GCC growth projections are mainly driven by the oil producers’ deal to cut output to bolster low crude prices which meant GCC states pumped and exported less oil. The IMF report also projected that the economies of oil exporters in the Middle East and North Africa – also including Iran, Iraq, Algeria, Libya and Yemen – would grow 1.7 percent, down from 5.6 percent the previous year. MENA oil importers, on the contrary, were expected to expand 4.3 percent this year, up from 3.6 percent in 2016, the report added. Azour said the IMF was projecting flat growth this year for Saudi Arabia, the largest economy in the MENA region, but the non-oil sector was growing faster than expected. 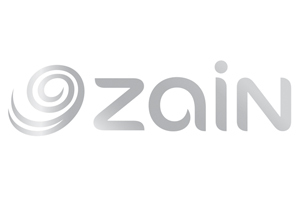 This was an indication “that the Saudi economy is bottoming up and it shows that the gradual implementation of the fiscal adjustment now is going to allow the Saudi economy to grow faster,” Azour said. Azour estimated that Saudi Arabia and UAE could achieve a fiscal balance by between 2020 and 2022. He said the introduction of the five percent value-added tax (VAT) was one of the reform measures that would allow the GCC countries to diversify their revenues away from oil. “Its low rate will have a limited impact on price rise and inflation,” said Azour, adding that VAT is estimated to generate between 1.5 and two percent of gross domestic product annually. So far, Saudi Arabia and UAE have said they would apply the tax at the start of next year while the remaining four nations have the whole of 2018 to implement it. Meanwhile, the economic impact of the diplomatic rift between Qatar and its Gulf neighbors has so far been limited but a prolonged crisis could weaken the region’s mid-term growth, Azour said. Saudi Arabia, the UAE, Bahrain and Egypt on June 5 severed diplomatic ties with Qatar and imposed an economic blockade, accusing Doha of promoting extremist groups. Qatar has denied the charges. The four nations froze all economic deals with gas-rich Qatar, and Riyadh closed the only land exit for the Gulf peninsula. “The diplomatic rift between Qatar and the neighboring countries had a limited impact on the Qatari economy and its impact on the region is muted in the short-term,” Azour said. “So far, there are no signs that the diplomatic rift had an impact on growth in the GCC.” It had a “very limited impact on trade and almost no impact on oil price”. It said the crisis had resulted in some financial pressures on Qatar as its sovereign credit rating and outlook had been downgraded, raising interbank interest rates and leading to a decline in private sector deposits. The initial impact on Qatari banks has largely been mitigated by liquidity injections by the central bank and increased public sector deposits, the IMF said. Last month, Moody’s Investors Service estimated that around $30 billion was withdrawn from Qatar’s banking system in June and July. Moody’s estimated that Qatar used $38.5 billion – equivalent to 23 percent of its GDP – to support the economy in the first two months of sanctions. The IMF also endorsed an ambitious Saudi Arabian plan to build a $500-billion business and industrial zone extending into Jordan and Egypt, saying the project could benefit the whole region. Azour said Riyadh would need to balance the huge cost of the zone and other economic projects with its drive to cut a big state budget deficit caused by low oil prices. But the plan to develop the zone, known as NEOM, could stimulate trade and allow the Middle East to capitalize on its location as a bridge between Asia and Europe, he said. “It is a signal that greater regional cooperation is back on the table,” he said. “We see value and necessity in regional cooperation.” The NEOM scheme, unveiled by Saudi Crown Prince Mohammed bin Salman at an international conference in Riyadh last week, would develop industries such as energy and water, biotechnology, food, advanced manufacturing and entertainment in a 26,500-sq-km zone with its own laws and judicial system.